Exploring Bali off the beaten track may be one of your main to-dos if you wish for a quieter island to explore. Bali is brimming with luxury resorts, but it feels like such a waste when you only visit Kuta, Legian, and some of its most touristy areas. Bali has so much to offer. You don’t have to go to obscure National-Geographic worthy places or experiences. 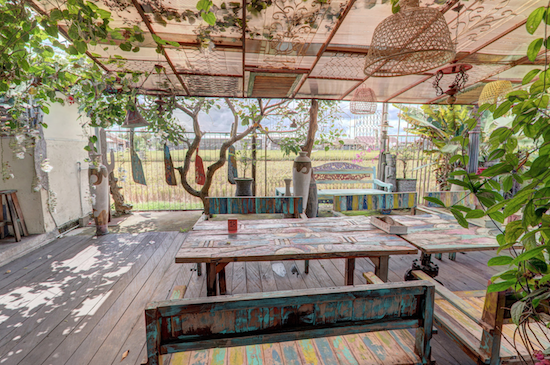 Simply steer off of the Potato Head for a while and discover a more authentic side of Bali. And while we all love beaches, I’ve conveniently crossed it off the list, saving it for another time. 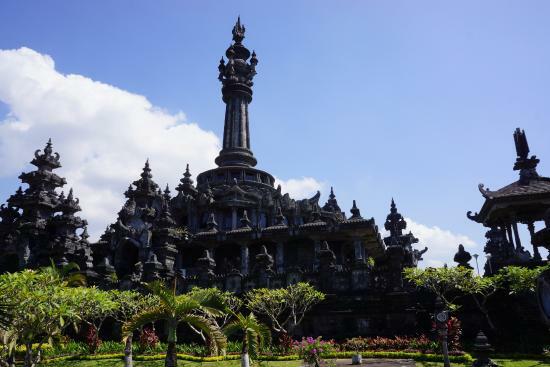 We’ve got you a list of both destinations as well as cafes and restaurants that are less than your typical Bali outing. In Bahasa Indonesia, the Mangrove forest in Bali is known as “hutan bakau”. Although the Mangrove forest has been a tourist destination for a long time, it has never seemed to be a crowd-puller. For people who love to admire Bali’s nature, the Mangrove forest is a gem that many tourists often overlooks. 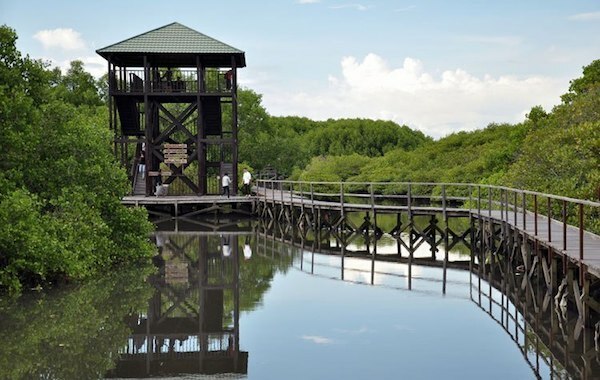 Explore a different side of Bali, experience the serene atmosphere of the Mangrove Forest. The website fpmbali.org has compiled a comprehensible list of the mangrove species known both in Balinese and Bahasa as well as the Latin name, which is pretty impressive. Make sure to apply some mosquito repellent first! If you don’t like over the counter mosquito repellent that is available in the convenience stores, use the cajuput oil. They’re pretty effective! Bali Jepun tea room is a hidden little cafe that is a favorite of mine whenever I go to Ubud. Even on a Sunday, the place stays as a peaceful gateway from the busy Denpasar I lived in. 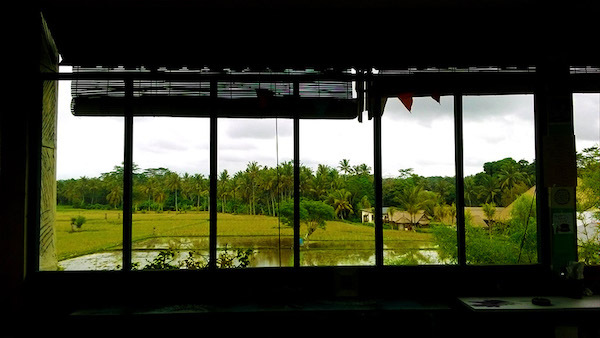 The location is definitely that of Bali off the beaten track despite being in Ubud. 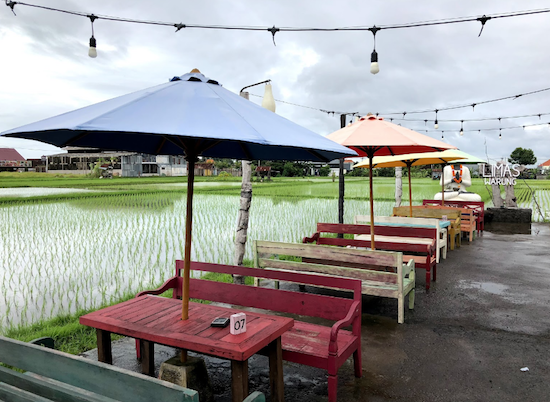 While Bali’s narrow roads may make it seem as if there is traffic, inside, you won’t feel any of it as the view of the rice field welcomes you. I usually visit during the time Bali Jepun Tea Room holds their irregular event; a flea market. It’s always the perfect time for me to find some crazy cheap preloved clothes. A Uniqlo and GU shirts priced at 5,000 IDR each? I’m instantly in love. There are also vendors who sell Japanese books and old CDs and DVDs. It’s usually a very small event that serves more as a place for the vendors of Japanese expats to socialize. Cozy interior with a stunning view. A perfect place to spend an afternoon at. The place is owned by a Japanese expat family and most of the vendors selling during the flea market are expat themselves. Which explains why most of their menu are Japanese and are available in the Japanese language as well. This is reflected in the name of the place. “Jepun” aside from meaning the Frangipani flower, it also means Japan in both Bahasa and Malay. The roads to this place may not be the literal Bali off the beaten track, but the place certainly is. Lapangan Puputan Renon as the locals call it. 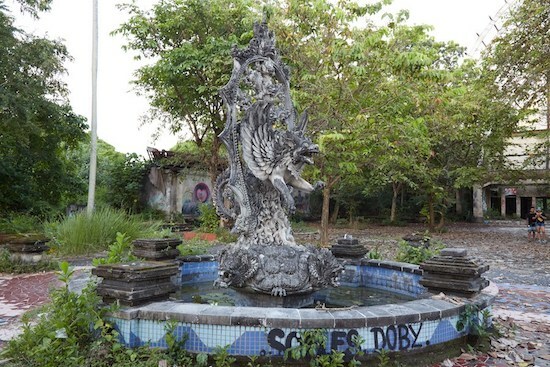 It is one of the very few city parks Bali has. The frequenters of Lapangan Renon are rarely tourists. So you don’t have to feel as if you’re surrounded by people back home despite the fact that you’re overseas. Locals usually use the place to jog, walk their dogs, and PE lessons for the local schools. The Bajra Sandhi Monument that is located at the center of the city park is seemingly isolated. As a child, I was always told that the monument was “forbidden to enter”. Probably just one of those lies adults told a child. Even until now, a lot of my friends have never entered the monument either. Simply because the Bajra Sandhi Monument is something so ordinary that people pass by everyday, that they don’t really think much of it as a ‘destination’. Despite the fact that it is a historical monument. It’s a great place to take pictures and to simply admire the architecture. Inside, there is a museum you can enter with an affordable entrance fee. 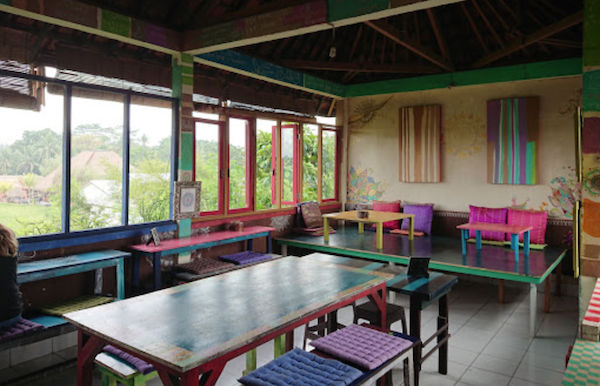 While Warung Limas sees more visitors compared to the Bali Jepun Tea Room mentioned above, the place is no less relaxing. The decor is reminiscent of old Indonesia. Wooden architecture and decor, double doors and windows—the place seemed to be inspired by Dutch colonialism era in Indonesia. The name “Limas” itself may refer to its roof style of one of the Indonesian traditional houses from Sumatra. It is one of the best places to unwind. Surrounded by the rice field and calm, it feels as if you are hours away from the city. While in fact, the place can be reached in mere 15 – 20 minutes from the Seminyak area. The menu is unique. Warung Limas offers at least 3 menus from different countries. Ones that stay on top of my head are; Japanese menu (sushi and the likes), Indonesian menu, as well as Italian (I don’t recommend their pizza, though). I go here from time to time simply because I am in love with the place and its calming atmosphere. Read more: Bali Scooter Rental: A Guide Before You Rent and Ride! 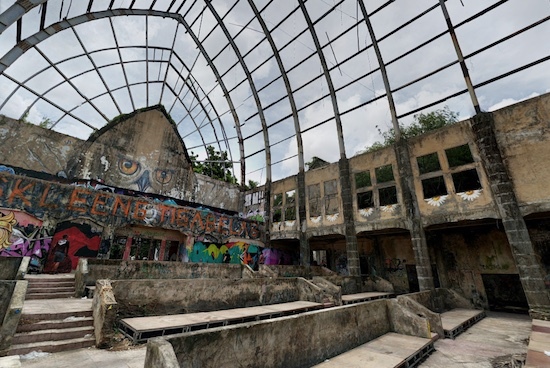 Taman Festival Bali is a good representation of a ghost town straight out of a movie. 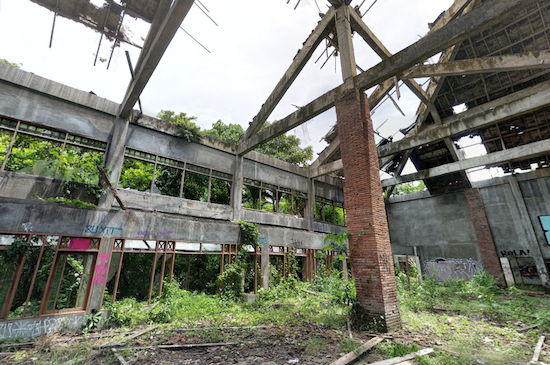 Despite being one of the famous abandoned places in Bali, Taman Festival has very few visitors every day. This is also due to the sheer size of the place. Even where there are visitors, you will only encounter a few of them. Not many locals who live far from the proximity know about the place either. Shattered window glass, molds lining up the walls, crumbling concretes, and vines on the inside of the buildings are merely some of the things on the list. 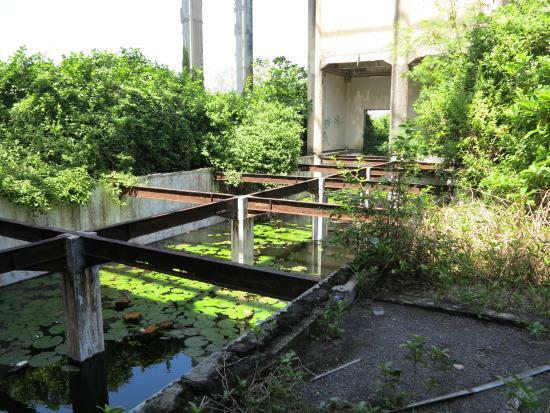 The eerie atmosphere is something that you feel as you step further inside the establishment. More than a place to discover Bali off the beaten track, the place seems to embody the definition of haunted. But the peace and quiet are almost unrivaled. Don’t forget to bring mosquito repellent or cajuput oil though! Beware of “pungli” (pungutan liar in Bahasa), though. Locals who seemingly do nothing sat playing cards or drinking alcohol, claiming to be “guarding” the place. They will ask you for an entrance fee. There are several of them (they win in numbers) and there is nothing you can do but hand them some cash. Unless you want to get into a brawl, just handing them what they want is best. From my experience, they won’t bother you once you did and go back to whatever they’re doing. I know it’s not pleasant. And trust me, I want to punch them right in the crotch. The sight and the atmosphere that awaits you inside will soon make you forget whatever unpleasant things that just transpired. Taman Festival Bali is just extraordinary. 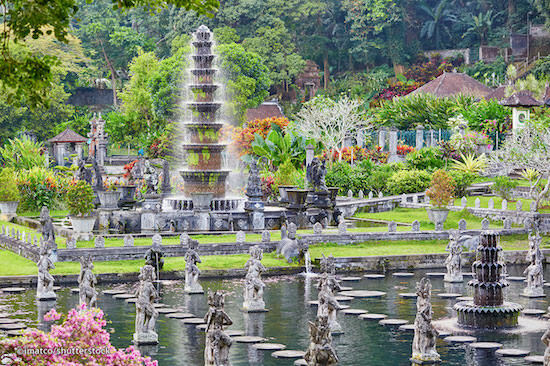 The Tirta Gangga Water Palace used to be visited only by locals. But in the last couple of years, it has also attracted more and more international tourists. 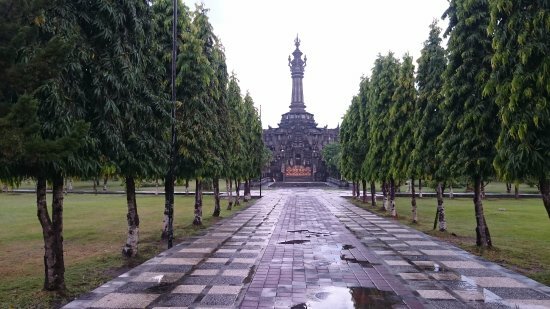 So while the place has become rather touristy in itself, the roads leading to Tirta Gangga is not. This is where you need to do the discovering yourself. After all, the best of places is usually not yet covered in media or in blog posts. Tirta Gangga is located in Karangasem, approximately 3 – 4 hours ride away from Denpasar city. Just the proximity itself has already guaranteed you much quieter areas to yourself. Along the way, you will discover a lot of warungs and go on a road trip adventure through the mountainous areas. In fact, we more than recommend steering clear off of Tirta Gangga itself and discover places on your own. Even when it is just a small restaurant on the hill roads. A region that is representative of the idea of Bali off the beaten track, most of Karangasem is uncharted territory. Have fun simply bask in a different side of Bali compared to the crowded South of the island.